I remember when our puppy came home. We just got married and ran out to purchase the cutest dog available. A six week old golden retriever. He was our baby. Two years later the cutest dog was replaced with the cutest baby! How can you say that?! Is that what you were thinking? Well, baby melted my heart like nothing I’ve ever felt. Then he started talking and made me smile daily. How could I not think he was the cutest thing ever? Until November 23rd the Puppies vs. Babies online contest is going on! Entries were taken and now it is time to vote! The bracket is down to the final two of each category. The Puppies vs. Babies winners will face off with each other! I voted for babies of course, but there are some adorable puppy photos! Tell me who you would vote for? A puppy or a baby! Here is one of my reasons! Don’t you just love it when I find you fun deals? Especially from great toy companies! Yay!! 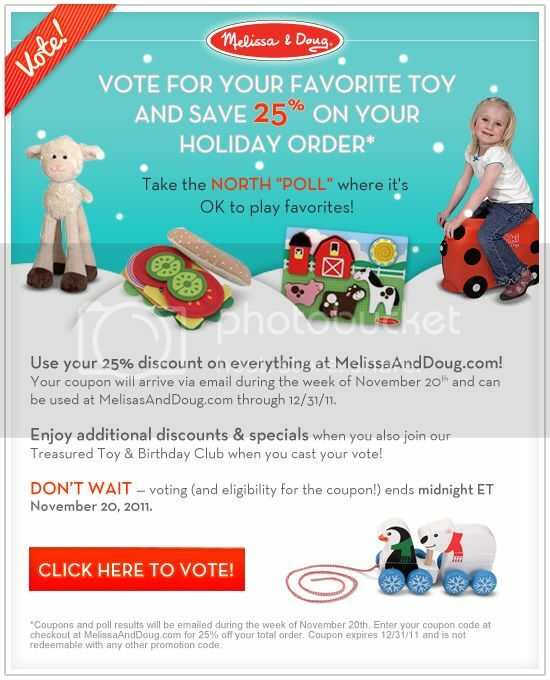 Melissa and Doug are sending me a gift card for helping out with this promotion but all opinions are my own.